In the Court of Appeal, the man’s conviction for possession was overturned on grounds related to the adequacy of the trial judge’s charge to the jury. 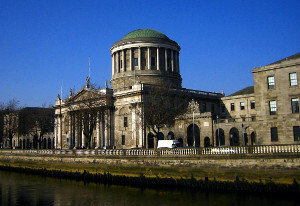 In the Supreme Court, Mr Justice Peter Charleton said that there was no misdirection in circumstances where the jury was aware of the man’s personal circumstances, and that their guilty verdict was based on the finding of fact that he had reasonable resort to avoiding the crimes but failed to do so. In December 2009, Mr Trevor Gleeson was a prison officer in the Midlands Prison, when he was seen with a known convicted criminal in his car in Kildare town. Thereafter, gardaí followed Mr Gleeson and saw him throw a bag out of the car – which later transpired to be containing €6,000 worth of controlled drugs including benzylpiperazine, diamorphine, and cannabis. Mr Gleeson was arrested and charged with possession, and possession for the purpose of supply. Asserting the defence of duress, Mr Gleeson argued that he had been threatened by criminals both inside and outside the prison – in particular, Mr Gleeson submitted that he had been followed, threatened, and intimidated by “the most dangerous criminals from Limerick” for months. Under duress, Mr Gleeson said that although he was supposed to supply the drugs to particular inmates in the prison, he at all times intended to dump the particular drugs – adding that he had dumped a previous package given to him. When asked why he had not reported any threats to the relevant authorities, Mr Gleeson claimed that his superiors “wouldn’t ever listen to you”. In Naas Circuit Criminal Court in December 2012, the jury disagreed on the counts of possession for supply, and Mr Gleeson was convicted of simple possession only. Thereafter, the trial judge imposed a sentence of 18 months’ imprisonment suspended for three years. In July 2013, a subsequent trial on the counts of possession for supply ended in the jury being discharged because of the late disclosure of video footage from a supermarket three months after the accused had been found in possession of the drugs. Mr Gleeson submitted that this video showed him being intimidated by individuals with criminal convictions. Mr Gleeson was not subsequently tried on the possession for supply counts. In the Court of Appeal, Mr Gleeson’s conviction was overturned on grounds related to the adequacy of the trial judge’s charge as to reminding them of his occupation as a prison officer and as to the directions given to the jury on the defence of duress. The rationale for overturning Mr Gleeson’s conviction was for an alleged failure on the part of the trial judge to point out, when dealing with the defence of duress, that the jury should take into account that the accused was a prison officer and that prisons were dangerous places. The Director of Public Prosecutions was granted leave to appeal on the following issue: Where an accused person seeks to rely on the defence of duress, by what standards are the accused’s actions to be judged? iii) a test which includes both an objective and a subjective element? Considering the defence of duress, Mr Justice Charleton said that the defence exists in criminal law “as a concession to human infirmity”. Mr Justice Charleton cited AG v Whelan  IR 518, in which Murnaghan J said that “…threats of immediate death or serious personal violence so great as to overbear the ordinary power of human resistance should be accepted as a justification for acts which would otherwise be criminal”, but that the “strongest duress would not be any justification” for murder. Stating that ‘the individual circumstances whereby duress is claimed to be applicable are crucial to the validity of the defence’, Mr Justice Charleton said that ‘the defence of duress must be circumscribed so as to exclude volunteers to violent criminal enterprise’, and ‘…must be defined in such a manner that it does not become a handy excuse for conduct which the law proscribes’. Mr Justice Charleton said that “fundamental to any defence is that the accused… must be found by the jury to be genuine”, and that the accused “must actually, in their own mind, be under compulsion”. This, he said, was a subjective test “easily explained to a jury: to assert a defence requires that it be invoked honestly”. That being said, Mr Justice Charleton said a defence in criminal law entirely dependent on the accused’s subjective viewpoint is “anomalous” – with the only such defence in Irish law being that of “provocation”, reducing murder to manslaughter. As such, Mr Justice Charleton said that elements of objectivity were also required. In summary, Mr Justice Charleton said that duress is a defence where an accused of “reasonable firmness” is coerced into criminal conduct; that relevant fixed and permanent characteristics of the accused should be taken into account; that the coercion should reasonably be so serious as to overcome the resistance of the accused; that the accused genuinely feels threatened; and that reasonably, the accused has no available resort to any lawful alternative. If reasonably open to an accused to “resort to lawful authority, or to any other lawful means of not committing a crime”, and this was not taken, Mr Justice Charleton said that the defence of duress did not apply. Mr Gleeson argued that the Court of Appeal was correct and that there should have been emphasis on his job and his position within society – however, Mr Justice Charleton was satisfied that these factors would have been clear to the jury throughout the trial. Stating that there could have been no misdirection by the trial judge, Mr Justice Charleton said that there were multiple occasions for Mr Gleeson to have resort to the authorities – and that the jury made a finding of fact that reasonable resort to avoiding the crimes charged was available to Mr Gleeson but was not taken.